A million Uighurs are being held in concentration camps in Xinjiang. What can the US do? In her Pulitzer Prize–winning A Problem from Hell (2002), the journalist and lawyer Samantha Power argued that the United States should use its overwhelming power to prevent or halt crimes against humanity. Power was responding to the United States’ failure to thwart genocide in Rwanda, Bosnia, and Kosovo, and her arguments quickly permeated the Democratic Party’s foreign-policy establishment. After all, many reasoned, if the United States was truly the world’s “indispensable nation,” shouldn’t it work for the good of all? When Barack Obama was elected president in 2008, Power’s arguments helped undergird the liberal internationalism of his administration (in which Power served). Though Obama campaigned on an anti-militarist foreign policy, his administration intervened in Libya to prevent a massacre in Benghazi—which helped engender the chaos the country finds itself in today—and helped militarize the Syrian conflict, in part with humanitarian goals in mind. By the end of Obama’s time in office, humanitarian intervention had become a core tool in the kit of liberal foreign policy. The unexpected election of Donald Trump, however, has forced intellectuals across the political spectrum to rethink some of their fundamental assumptions. During his campaign, Trump rejected American exceptionalism, the idea that the United States is uniquely able to redeem the world. His victory suggested that many agreed with him and had grown tired of the endless wars cheered on by the foreign-policy establishment. A group of anti-imperialist intellectuals, in particular, have responded to Trump’s election by crafting an avowedly left-wing foreign policy that doubts the efficacy and morality of humanitarian intervention. To these individuals, recent history demonstrates that military intervention creates more problems than it solves—see Afghanistan, Iraq, Libya, and Syria—and encourages the United States to assume responsibility for conflicts it has neither the will, capacity, nor knowledge to resolve. Intervention, critics also claim, strengthens an already-too-powerful military and contributes to the imperialism supporting the global network of bases that the United States has constructed since World War II. Yet anti-imperialists have failed to satisfactorily confront the problems of genocide and ethnic cleansing. This is a significant lacuna, especially given that a genuinely left-wing candidate could win the presidency in 2020 and thus be able to manipulate the levers of state power. What should a president sympathetic to the left-wing critique of humanitarian intervention do in the face of crimes against humanity? By exploring China’s horrendous treatment of its Uighur Muslim minority, we can examine this issue. China provides an important test case for left-wing foreign policy because it raises the question of whether the anti-imperialist left can alleviate suffering while eschewing military intervention. 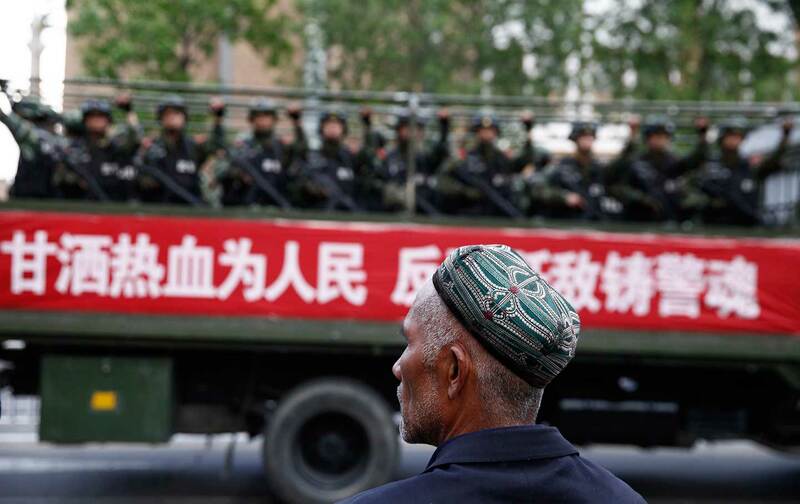 Even for a ruling party that has long succumbed to its dystopian urges, the situation in the vast northwest Chinese region of Xinjiang is grim. Roughly a million Muslims—mostly Uighurs, a Turkic minority—languish in concentration camps, detained for crimes like insufficient patriotism or refusing to eat pork. Beijing has also sent approximately 1 million non-Muslim Chinese to live with and monitor Uighur families. These agents record instances of fasting and of “extreme” beards or dresses that are suspiciously long. The government also forces many of the region’s roughly 10 million Uighurs to download apps that monitor all of their communications. Regardless of whether one believes military intervention is a legitimate tool, China in 2019 is too vast, powerful, wealthy, and economically integrated with the United States to be a reasonable military target. So what should the United States do to respond to the Uighur crisis? The most effective resistance to the treatment of Uighurs is increasing the public-relations costs for Beijing. The State Department should publicize this issue in other Muslim countries, particularly influential American allies like Saudi Arabia, and among China’s neighbors, especially Pakistan and Kazakhstan, with the hopes of increasing international pressure to end the ethnic cleansing. To help coordinate this work across the Muslim world, it should create a special envoy for Xinjiang akin to the envoys who travel the globe attempting to coordinate diplomatic responses to the crises in Yemen and Ukraine. A left-wing government could also work to popularize the fact of Uighur oppression among ordinary Americans, many of whom will recoil at the savage treatment. Progressive members of Congress should further introduce bills that bring attention to the Uighur cause so that it is not only conservatives like Senator Marco Rubio (R-FL) who are volubly addressing this crime against humanity. The anti-imperialist left, in short, must no longer cede the ground of humanitarianism to centrist Democrats or the GOP but must advocate its own progressive approach to the problem. US media outlets have covered Xinjiang, but partly because of the lack of compelling images, it has been mostly a print, not television or YouTube, story. To help bring attention to China’s abuse of Uighurs, the left should encourage the State Department to declassify and circulate images of the concentration camps. This will help solidify global opposition to the ethnic cleansing, much as CBS’s 2004 publication of images of American atrocities at the Abu Ghraib prison helped fuel global opposition to the war in Iraq. Whatever images American organizations manage to secure, the left should lobby government officials and NGO workers to hold public briefings that feature these images as well as testimony from survivors of the camps. 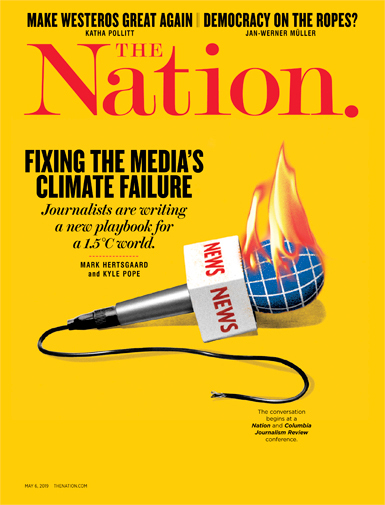 Increasing the public relations—and hence, the economic, social, and political—costs for Beijing will hopefully pressure the Chinese Communist Party to scale back its oppressive behavior. In fact, this should be a general left-wing principle: When confronted with genocide and ethnic cleansing abroad, public and diplomatic pressure should be the central instruments the government uses to defend the liberties and rights of foreign peoples. There is another way the American state could ameliorate the persecution of Uighurs: funding resettlement programs. Many Uighurs no doubt prefer emigration to persecution. A left-wing government should therefore create an office of resettlement to fund Uighur immigration (the United States, of course, must also reform its immigration laws and end the mass imprisonment of asylum seekers). Another option would be to fund and coordinate resettlement programs in the other nations already hosting thousands of Uighurs—such as Germany, Turkey, and Kazakhstan—which would provide immediate relief as the left works to transform the anti-immigrant ideology that informs the worldviews of too many Americans. Regulation would also be a useful means to sanction the Chinese companies, especially tech and surveillance companies, whose products assist Beijing in repressing Uighurs. The United States has considered sanctioning the Chinese surveillance giant Hikvision, which has provided thousands of cameras that monitor mosques, schools, and concentration camps in Xinjiang. Actually doing so would have the benefit of warning the American companies that have worked with Hikvision—including the public-relations firm Burson-Marsteller, the lobbying firm Sidley Austin, and Amazon—that a left-wing government will not allow American companies to facilitate gross human-rights abuses. Moreover, civil-society organizations like NGOs and labor unions must take a more activist approach to foreign affairs. When it comes to China, American organizations have long traded access for integrity. For instance, the American Bar Association (ABA), which claims to “hold governments accountable under law,” has barely criticized Beijing’s crackdown on human-rights lawyers, in part because it feared jeopardizing the legal-training programs it runs there. And some American universities even restrict discussions of Chinese human-rights abuses for fear of losing access to the country. Columbia University, for instance, canceled several talks on topics sensitive to the Communist Party because it was worried about offending Beijing. Civil-society organizations must depart from this trend. The left needs to pressure groups like the ABA to publicly criticize China while simultaneously compelling universities to embrace their commitment to free inquiry, even if this means restricted access to Chinese capital, Chinese students, or Chinese visas. Moreover, the left should encourage civil-society groups to use their connections to politicians to push for programs to resettle Uighurs—and dissent-minded Chinese—who desire to move to the United States. And it goes without saying that this must be done with the active participation—and indeed, leadership—of Uighurs themselves, who understand the needs and interests of their community better than any outsider. Taken together, we believe that these actions could put pressure on the Chinese Communist Party while avoiding a Manichean struggle reminiscent of the Cold War. Though we appreciate that diplomatic and moral pressure will not be enough to curtail ethnic cleansing within China’s own borders, that doesn’t mean the anti-imperialist left shouldn’t take steps to publicize and mitigate China’s crimes. Daniel BessnerTwitterDaniel Bessner is the Anne H.H. and Kenneth B. Pyle Assistant Professor in American Foreign Policy in the Henry M. Jackson School of International Studies at the University of Washington. He is the author of Democracy in Exile: Hans Speier and the Rise of the Defense Intellectual. Isaac Stone FishTwitterIsaac Stone Fish is a contributing Global Opinions columnist at The Washington Post, a senior fellow at the Asia Society, and a visiting fellow at the German Marshall Fund; he is writing a book on China’s influence on America.